The survey demonstrated the predictable direct correlation between age and likelihood of physician employment versus ownership: younger doctors were less likely to have an ownership interest in a medical practice: about 30% of physicians under age 40 were owners and about 55% of physicians age 55 and older were owners. Women, who have generally tended to enter medicine during a time where employment is more likely than owning and who tend to accept jobs in specialties where employment is more likely, have tended to work as employees rather than owners. Surgical sub-specialties (about 60%) and radiology (about 56%) had the greatest likelihood of physician ownership. Most physicians still work in smaller medical practices, i.e., practices with 10 or fewer doctors. About 58% of all physicians work in such small practices, according to the survey. On the other hand, medical practice sizes are increasing as are the number of physicians who work in larger practices: about 14% of all physicians worked in 2016 in medical practices with 50 or more physicians, up about 2% from 2012. A majority of physicians also worked for physician-owned medical practices (about 56%), as opposed to other ownership structures, such as hospital owned medical practices. Other studies have demonstrated a trend for physician practices to change from physician-owned to hospital-owned structures. For example, in an article appearing in AJMC.com, the authors evaluate the trend toward hospital ownership of medical practices and the impact of such upon the quality of care, specifically the use of care management processes and health information technology. According to a 2016 article in Modern Medicine Network, the number of medical practices owned by hospitals increased by almost 90% over the preceding four years. That same article indicates that nearly 40% of physicians were employed by hospitals and about 25% of all medical practices were owned by hospitals. 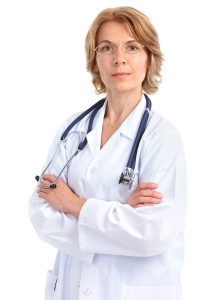 Our business and healthcare law firm represents physicians, hospitals and other healthcare providers. If you have questions about this blog post, contact us at (404) 685-1662 (Atlanta) or (706) 722-7886 (Augusta), or by email, info@hamillittle.com.